Revised and Updated for the Web! This book is a great way to plan science fair projects. 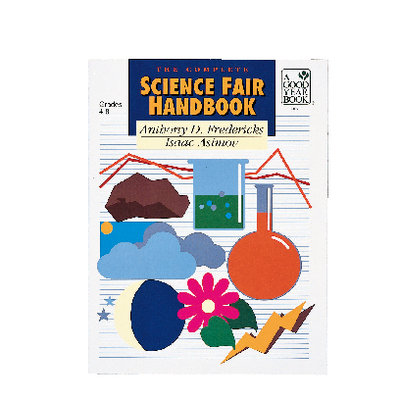 It's filled with reproducible, illustrated, tear out sheets to help students remember and organize their science projects. Included are sections on topics, how to do an experiment, setting up the presentation, lists of exhibit materials, how to write reports and more. There is even a judging checklist that helps students evaluate their own projects in preparation for the fair! 88 pp., softcover. Grades 4-8.